← Spanish Omelette – simple & great tapas! 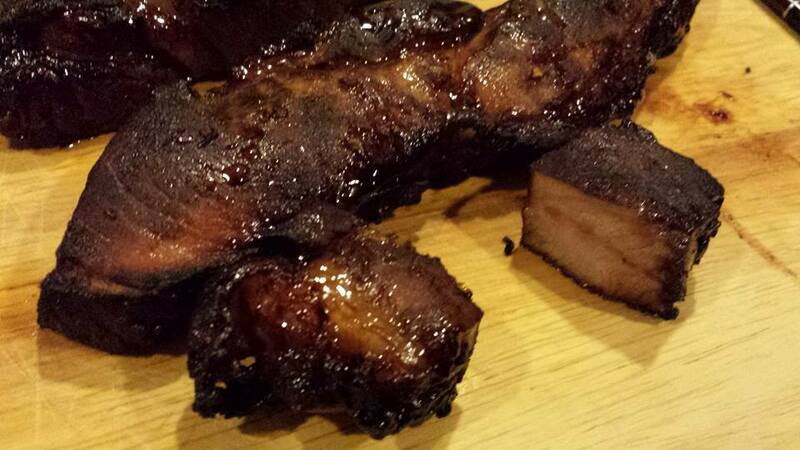 i have tried char siew quite a few times using different meats & preparations. a rather successful one was almost 2 years ago using belly pork & an oven “sous vide” method at 60degC or 70degC over 4 hrs to 6hrs. 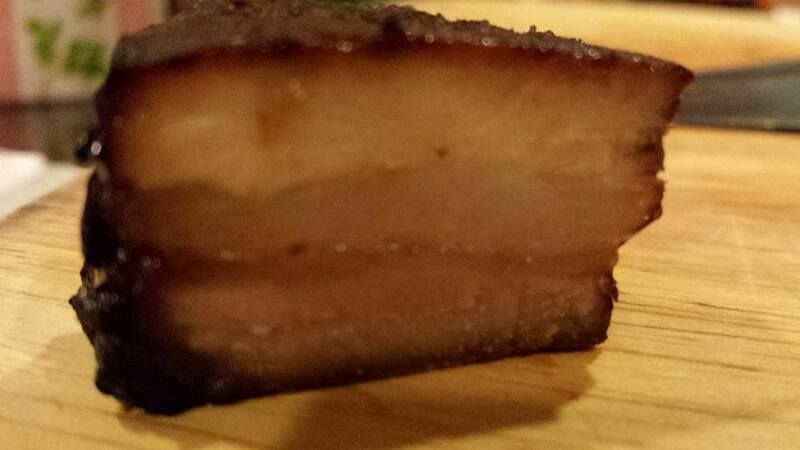 i used the same method for miso belly pork which was very nice too. 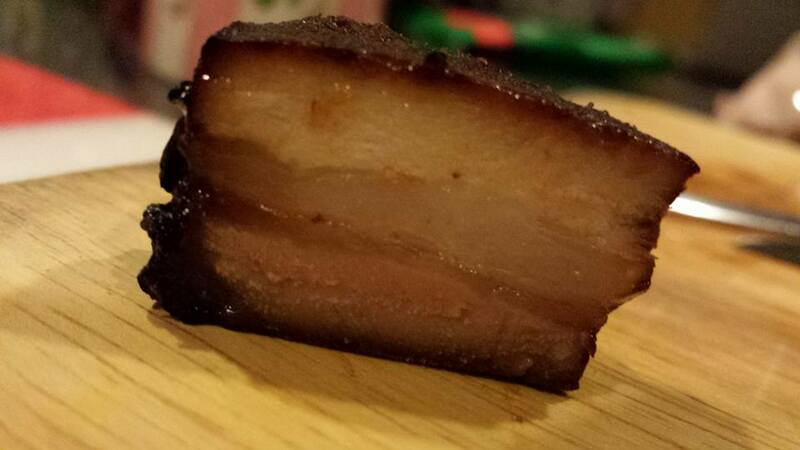 i must say while the miso belly pork is a more unique dish the char siew by the “sous vide” method is a bit more tedious & not really my favourite as one can buy cheap & good char siew easily outside. the key is (a) the marinade to produce the right flavour (b) the meat & preparation to produce a tasty, tender, moist meat. so far, pork collar is the best choice. i tried the same recipe on belly pork but it was quite inferior by comparison. 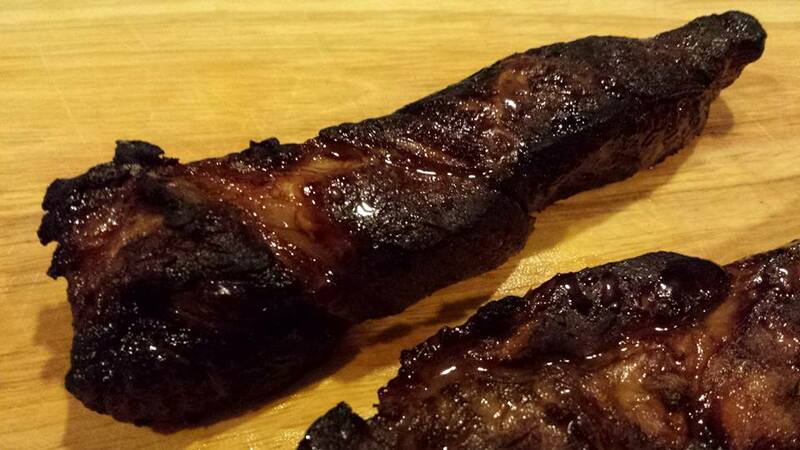 i marinated the meat for 3 days in the chiller. then i placed the meat on a rack in a preheated 250degC oven for 20mins. & the result was just perfect! scald the pork collar & wash under slow running water to remove scum. add the marinade & transfer to a ziploc bag & place in the chiller for 2 or 3 days. bring out of chiller for 1/2 to bring to room temperature. place on a rack over a aluminium foil lined tray & place in a preheated 250degC oven for 20mins. 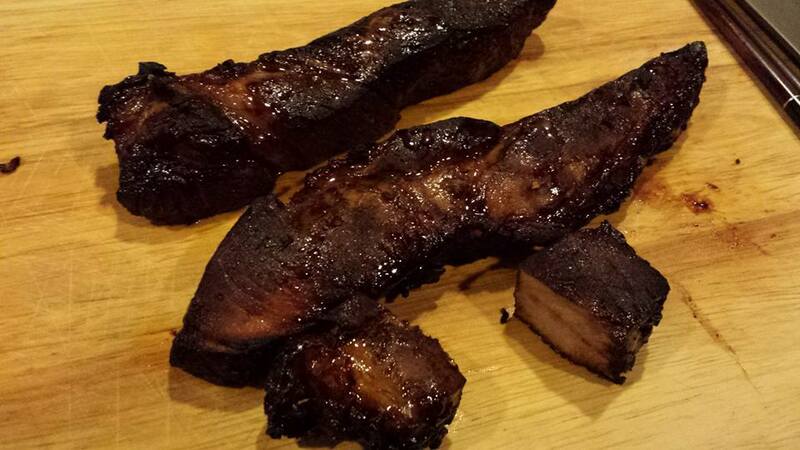 This entry was posted in Recipes and tagged belly pork, char siew, cinnamon, marinade, pork collar, sheng shiong. Bookmark the permalink.